MILAN, Italy — From the boom in starred hotel restaurants to confectioner’s shops and coffeehouses dynamically merging withmixology, the out-of-home segment is growing to meet the needs of an expanding market. In Italy, it is worth over 78 billion euros and is growing at an annual rate of 8% (source: Censis-Coldiretti). In fact, 35% of tourist spending (over 30 billion euros) goes into eating out and 4.1 million Italians are using food delivery services. With all these non-stop changes, how can operators anticipate future trends and transform them into business opportunities? 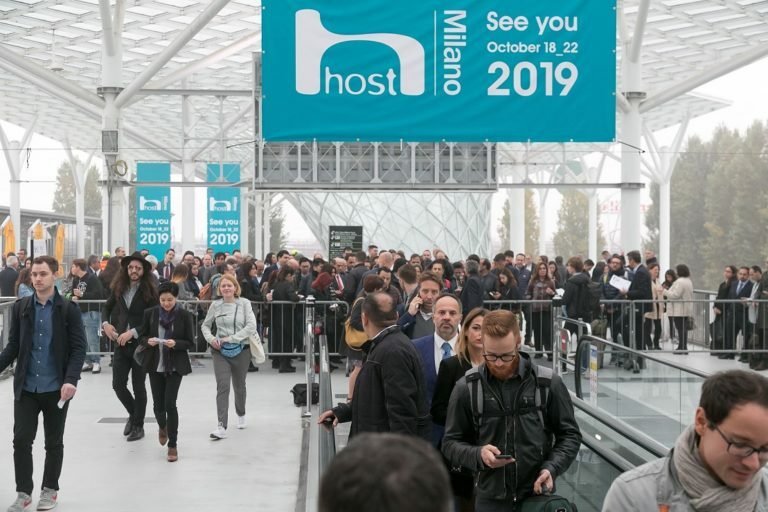 HostMilano provides the answer; the fair, which is directly organised by Fiera Milano, represents the leading event in the professional hospitality industry, with the 41st edition set to take place at fieramilano from 18 to 22 October 2019. The ability to anticipate future trends has seen HostMilano rise to become the sector’s leading event: with a year still to go until opening day, 1,251 companies have already confirmed their participation, with 44.7% of these hailing from 45 different countries, including new entries Albania, Latvia and Colombia. The top seven countries by number of exhibitors are set to be Germany, Spain, France, the United States, the United Kingdom, the Netherlands and Portugal, while Spain and the UK reveal the strongest growth rates. Thanks to continuous scouting activities in collaboration with the Italian Trade Agency, there will be over 1,500 hosted buyers from 80 different countries in attendance, with an80% turnover and a focus on the USA, Canada, the Middle East, the United Arab Emirates, China and Russia. Media coverage is also significant, with at least 100 journalists invited and partnerships with over 75 international publishing companies, primarily in Europe, Asia, America and the Middle East. The event counts on institutional agreements with important international associations such as the FCSI – Foodservice Consultants Society International, Restaurants Canada, CEDA (UK) and AFEHC (Spain), in addition to a number of distinguished Italian associations. The Catering – Bread-Pizza-Pasta macro-area accounts for 48% of the companies present, representative of the substantial growth in the Bread-Pizza-Pasta segment. A sector that now sees many different trends coexist, united however by one common characteristic: from the increasingly premium food trucks to single-product establishments, involving the customer inan immersive experience with a format ‘curated’ down to the smallest detail is now an essential. And ice cream? No longer confined to bars and confectioner’s: the trend is being integrated into the offering ofhotels and restaurants. That said, the desire for alternative products, such as those free from milk and its derivatives, as well as gluten-free, low-calorie and vegan options, is growing. Trends that require a new, more integrated approach to the product, enhancing the fusions facilitated by the HostMilano concept. But there’s room for more! The coffee culture continues to expand, thanks to consumers who are becoming increasingly mindful of the origins of the raw materials – now almost equivalent to terroir in wine production – and who seek mono-origin and organic coffee, whilst enjoying experimenting with new extraction methods in addition to the classic processes used for espressos and filter coffee, such as the dripper, aeropress andcold-brew techniques. TheFurnishings-Tableware-Technology macro-area accounts for the remaining18% and has seen one of the most significant growth rates of all. If the out-of-home segment now validates this lifestyle choice, then the format andlayout are to be considered essential to the success of all and any project. With this in mind, thecontract and consultancy sectors, in addition to the high-tech segment, are becoming increasingly important in helping to integrate the experience of online sociality with ‘physical’ conviviality. The selection process has also begun for the finalists who will participate in the 2019 edition of the FIPGC Cake Designers World Championships and the FIPGC World Trophy of Pastry, Ice Cream and Chocolate organised by the International Federation of Pastry, Ice Cream and Chocolate. These championships, held every two years, will for the third time be held duringHostMilano, on October 19 and 20 2019 and October 21 and 22, 2019, respectively. This year’s captivating theme for both championships is TheArt and Tradition of Your Nation: a celebration of different flavours and colours, enabling each national team to bring different aromas and ingredients to the competition, thereby re-interpreting their local traditions with a modern twist. Dozens of other events are being planned with details being announced in the months leading up to the event.